Guide customers to your physical store. Create a store location on a map. Add details to the name, make it visible with an image. 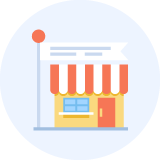 Control the search process in your store. Assist in finding the current customer position and discovering stores nearby, or provide search by address. Allow customers to search by radius. Encourage to fill the address form(including country, city, and even ZIP-code). 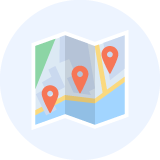 Mark your store as a sensation with a catchy description and custom image on a map. Help customers find you by implementing the SEO-friendly practices. Enable the “Find My Location” button. Import location list from a CSV file. Create different store types with a unique icon. How Store Locator Magento 2 extension beat the competition? Let’s say you have two types of physical locations: stores of your own brand and partner stores that carry your merchandise as a part of their collection. When providing a map of your locations you want to make a clear distinction between the two. Not a problem! 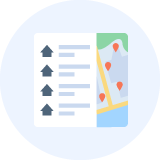 Upload custom map markers for different types of locations or go a step further and supply different images for the list of locations. Any other information is different? Not a problem as well. Use the description field for each location to specify closing hours, loyalty program availability, holidays, etc. Import data from CSV NEW! I have installed your extension with your support. It is bug free! And your support is exceptional!!! I have just installed your "Store Locator" module and it works great just out of the box. Thank you Aheadworks for your modules and super quick answers, as always. 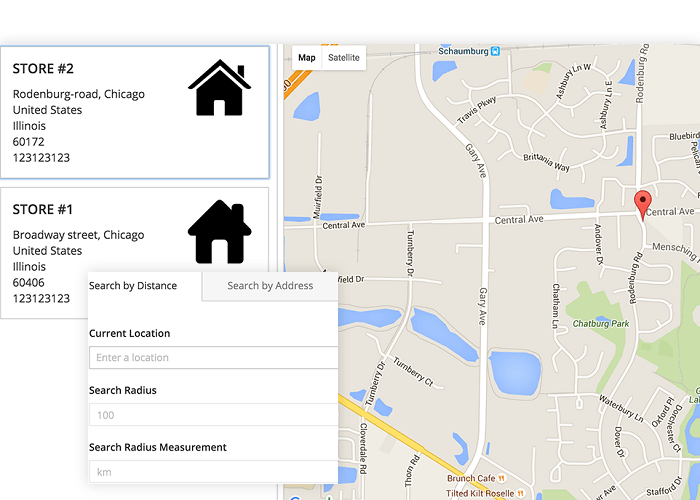 We've got brick&mortar and Store Locator was a good solution for us to help clients find our location. The extension works as it should. We are totally satisfied with it and with Aheadworks support. Thanks! A must have for brick and mortar stores. This extension is a must have for brick and mortar stores and especially for those, who offer store pickup. Easy to setup, looks good straight out of the box and my dev said the code is ok. Would be great to see a support of GeoIP in the future though.